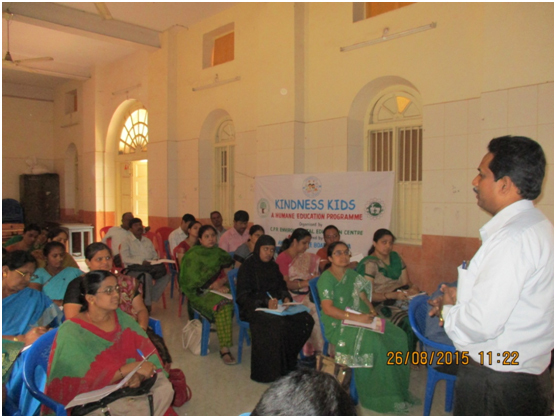 The C.P.R Environmental Education Centre (CPREEC) Karnataka State Office, Bengaluru in association with Rastriya Madhyamika Shiksha Abhiyana (RMSA) Bengaluru, South District, organized The Kindness Kids Teachers’ Orientation Programme on August 26, 2015 at Government Junior college , Old fort, Chamarajpet, Bengaluru . 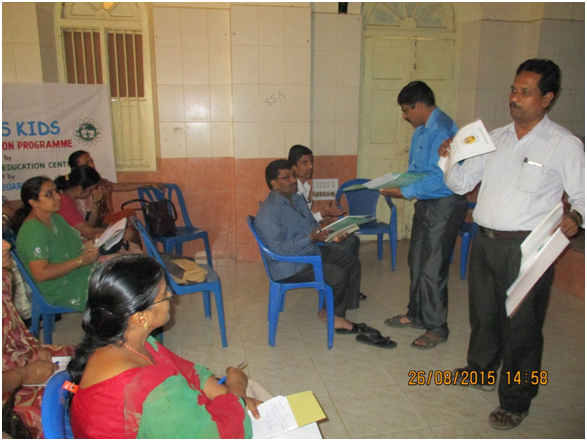 Sri Hemanna, Deputy project coordinator, RMSA inaugurated the programme. Sri S.C. Chandrashekar, Vice- Principal, Govt. Junior college, Old fort, Chamarajpet, Bengaluru and Sri K.M. Madhusudhana Rao and Mr. S. Ravi Shankar, Project Officer were the dignitaries on the dais. 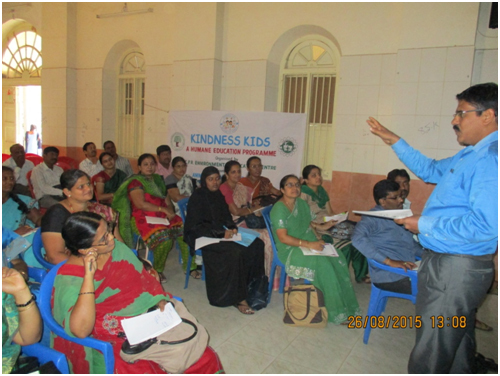 Mr. Ravishankar, project Officer, CPREEC briefed the teachers on the Kindness kids programme to be conducted in the schools. 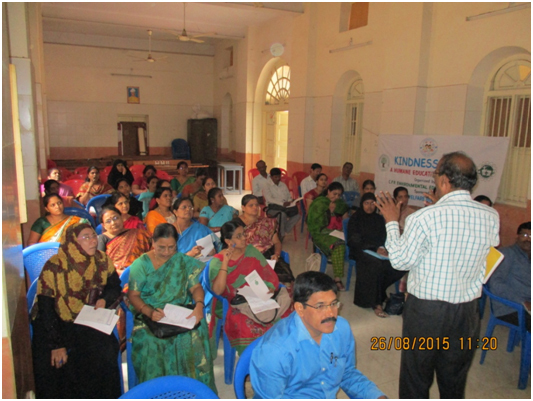 The PPT Presentation on “ANIMALS IN DISTRESS” was given By Sri K.M.Madhusudhana Rao. 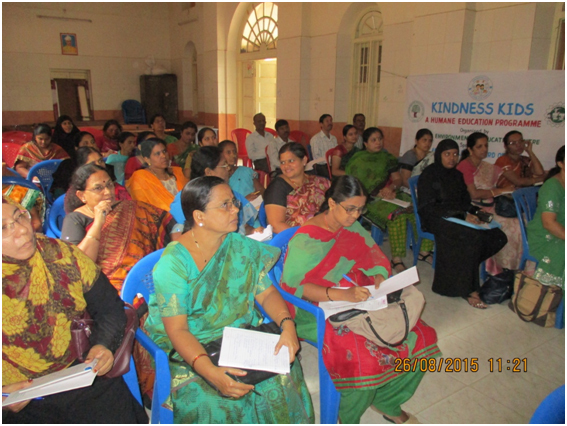 38 teachers from 38 Schools of Bengaluru South District participated in the Orientation programme.